Affiliate Secrets 2.0 is a training course by Spencer Mecham teaching complete beginners on how to get started in affiliate marketing from A-Z. What Is Affiliate Secrets 2.0? Who is Affiliate Secrets 2.0 For? If you’re ready to buy, skip to the end of this review, because I'm also giving away my Affiliate Secrets 2.0 Bonuses ($1,088 Value). It seems like everywhere you turn, there’s another affiliate marketing course staring you in the face. I’m willing to bet that right now, you could open another tab on your browser, log into your Facebook page and pick out at least 5 ads from affiliate marketers trying to get you to buy their latest “how-to” course. In fact, I’m sure those ads mention things like “secrets”, “fast-track system” and “without wasting time and money on so-and-so marketing tactic” to get your attention. If it sounds like I’m tired of seeing those Facebook ads for affiliate marketing (hint, I am! ), then why am I about to promote Spencer Mecham’s Affiliate Secrets 2.0 course? Because, let’s face it...There’s a market for affiliate marketing courses. If you are going to devote your time to any of them, then it should be Mecham’s. His success in the affiliate marketing space speaks for itself. If you are familiar with Buildaprenuer or ClickFunnels, then you probably already have some knowledge of who Spencer is. However, whether you know about him or not, it’s always helpful to have a quick overview of his background and how he’s qualified to offer the premiere affiliate marketing course. Spencer Mecham is someone who lives up to the “affiliate marketer guru” hype. For starters, he is a top 10 ClickFunnels affiliate. If you are familiar with the ClickFunnels community, then you know why that’s such a big deal. Mecham is a Dream Car Winner with ClickFunnels also, which means he has acquired over 100 active ClickFunnels users through his affiliate marketing campaigns. Mecham isn’t a massive social media influencer and he doesn’t run an ads agency. So how did he achieve his success as an affiliate marketer? He did it the old fashioned way. He took his time to learn the craft, learned from his failures, scaled his successes and continued his progress. By doing so, Mecham earned the distinguished honor of being an elite affiliate marketer, referring more than 2500 active member to ClickFunnels. We know the proof is in the pudding so here’s a screenshot of recurring revenue Spencer generated in August 2018. Additionally, in 2018 he was featured on an episode of Funnel Hacker Radio with David Woodward. There, Spencer elaborated on his success with affiliate marketing and detailed his strategy on how he built a 7-figure income with little more than a computer and some strong determination. It might seem like Mecham is a one-trick pony for ClickFunnels, however, he doesn’t keep his eggs in one basket. He promotes a variety of programs and products to help boost and diversify his income stream. Let’s recap - Why Should You Make Spencer Mecham Your Affiliate Marketing Mentor? He is a published author and frequent podcast guest sharing his affiliate marketing expertise. He is a Dream Car Winner with ClickFunnels. He’s a plaque-carrying member of ClickFunnels “2 Comma Club”, bringing in more than $1 million in revenue with a single product offering. He is the brains behind “Affiliate Secrets 2.0” online course. Has tried other courses without success but still believes they can be a successful affiliate marketer with the right guidance. Now that you’re up to speed on who Spencer Mecham is and who this course is for, let’s dig into his training course Affiliate Secrets 2.0 and why I choose it. Of course, after winning his dream car, there was a lot of interest in how he achieved that goal. Since Mecham’s initial launch of his original Affiliate Secrets course, he’s helped over half a dozen students reach Dream Car winner status. And, of course, there are others on track to hit that distinction. Countless students have begun their affiliate marketing business with his training and scaled from zero to four and even five figures monthly. He took what was already working with in original Affiliate Secrets, added more secrets and strategy and launched Affiliate Secrets 2.0. Spencer’s updated course includes the backstory on how he achieved so much in so little time with his affiliate marketing system. In Affiliate Secrets 2.0, you get inside knowledge on how to take your business from zero to successful, without wasting time building a substantial email list or wasting money paying thousands of dollars monthly for ads. My goal wasn’t to necessarily quit my job right away. I wanted to build a side income to pay off some debt, and give myself and my family some breathing room in our finances. I can happily report that I have more than achieved my financial goals with affiliate marketing through Mecham’s course. So, whether your goal is to “Quit Your 9-5” or just boost your monthly income a passive income source, then Mecham’s webinar is for you. In fact, Spencer goes above and beyond with his webinar content. He gives away the secret, proven system he developed to make seven figures in passive income. How to create and deploy automation tactics so to run your business around the clock. What Spencer Mecham is known for and one of the reasons I am confident recommending his program is that he’s a straight shooter. He tells it like it is but remains approachable. His approach to affiliate marketing isn’t scammy or aggressive. 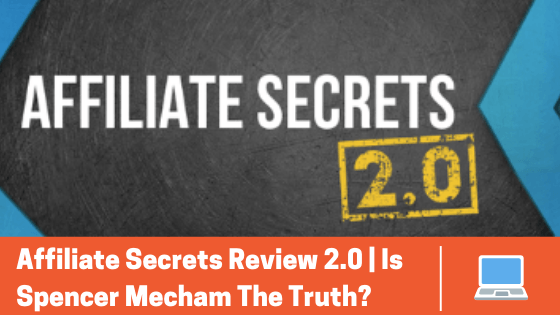 If you have been looking for an affiliate marketing course from someone who doesn’t BS you with the hype, but provides tons of value and tangible strategies to help you build your own passive income source, then Mecham is your guy and Affiliate Secrets 2.0 is the course for you. Tell me more about what’s in Spencer’s web-class! AUTOMATE your business to create a TRUE passive income. Ready To Jump Into Affiliate Secrets 2.0? Here’s What You Get When You Buy The Course! Affiliate Secrets gives you 8 Modules designed to get your business up and PROFITABLY running. Module 1 is The Game Plan – Mecham gives you an overview of what your affiliate marketing business should look like. 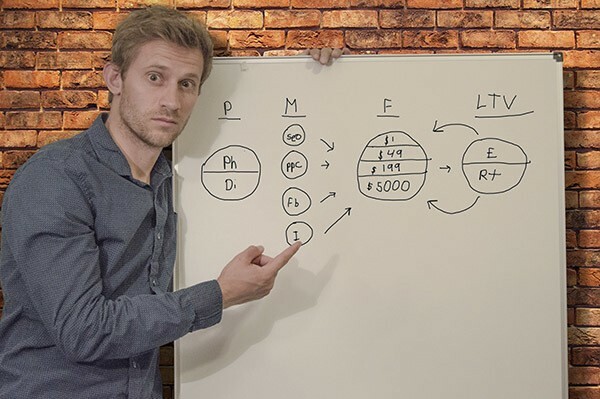 Module 2 is All About Buyers – Spencer details how to find a niche and develop to attract PAYING CUSTOMERS as you create your affiliate marketing business. Module 3 is Traffic Secrets – Spencer gets straight to what matters in his module; traffic, traffic, traffic. He teams up with 5 experts in driving traffic to give you the edge necessary in your affiliate marketing business. Module 4 is Conversion Station – Mecham teaches you how SELL to your audience so they will buy. Module 5 is Automation is King – This module is where you’ll learn why you should automate your business and how to do it. Module 6 is Scaling Products – Now that you have your niche (Module 1), Mecham teaches you how to find related products with high commissions to profitably build your affiliate marketing business. Module 7 is Business Beyond the Beginning – Learn how to grow your business for the long-term to turn affiliate marketing from side hobby to full-time career. Module 8 is Going from Boss to CEO – Learn how to hire team members to help expand your business with Spencer’s outline. Let’s get real for a second. The affiliate marketing space is flooded with shiny objects and “get rich quick” schemes. Spencer Mecham knows this. That’s why he structured his Affiliate Marketing 2.0 course as a blueprint for people looking to do what he’s done - Create passive income with his affiliate marketing techniques with hard work, smart tactics and long-term strategy. In order to make this an irresistible offer, the following are being offered as “limited bonuses” and may be temporary. Please check the Affiliate Secrets website directly to ensure everything below is STILL offered with the course! To help you provide value to your future audience as an affiliate marketer, Spencer includes TWO comprehensive white labeled courses. The white-label courses are a tutorial on ClickFunnels and an intro into affiliate marketing course. You can use them as freebies for your sales funnel or in any other way you think would best fit your audience. ClickFunnels account holder. If not, you can still take advantage of this by opening a 14 Day Trial with ClickFunnels. Once your trial account is created, you can add the 5 funnels to your dashboard with a simple click (hence the name ClickFunnels). I have a Clickfunnels account and trust me...creating a funnel from scratch is time consuming. Spencer is literally saving your time by creating a done-for-you funnel to use and share with your buyers as well. You can’t effectively automate without an email marketing system. That’s why Spencer provides his ENTIRE email sequence to help jumpstart your business. He gives you FIFTY (50) pre-written, plug-and-play emails. If you’re like me, you may want to edit and tailor them to you audience, and that’s fine. But I can vouch for the fact that “out of the box, they are well-written and effective marketing tools your business CANNOT grow without. So, currently Mecham is sending a HAMMOCK to everyone who buys his Affiliate Secrets 2.0 course. This is NOT a drill. For everyone who wants to live the ultimate “laptop lifestyle” complete with a hammock to work from, this bonus is seriously for you! Haha! Over the years, Spencer Mecham has assembled an inner circle of experts who have contributed to his business success. In true Mecham fashion, he was able to get half a dozen people from his inner circle to give back to YOU. Kara Ferdwera Presents Pinterest Secrets – Kara is a successful mom blogger who drives almost 50k visitors to her website MONTHLY from Pinterest alone. She contributes content to help YOU do the same. Johnny West Presents 7-Figure Facebook Ads Secrets – Johnny is a successful ad agency owner to the tune of seven-figures annually! He teaches YOU how to successfully run a Facebook group to drive buyers, traffic and, ultimately, profits to your affiliate marketing business. Josh Ryan Present Instagram Secrets – Think you can’t earn a full-time living from Instagram? Think again! Ryan shows YOU the tricks of the trade to make Instagram as profitable for you as it is entertaining. Jelani Abdus-Salaam Present Quora Secrets – Jelani has found success as the founder of Quora Affiliate Marketing Group. He teaches YOU how to leverage buyers who browse Quora looking for answers to their problems. Rachel S. Lee Presents Outsourcing Secrets – Rachel is a fellow “2 Comma Club” winner and full-time internet marketer who runs her business completely online. She teaches YOU how to outsource as you scale your business so you can do the same. Jarem Atkinson Presents 6-Figure Ads Secrets – Jarem is another successful Ad agency owner, in addition to being a blogger, podcast host, and guest speaker. He teaches YOU a little bit of everything he knows about building and scaling an ad agency. Did my Affiliate Secrets review get you interested in taking up Spencer's offer to teach you how to start your Affiliate business? 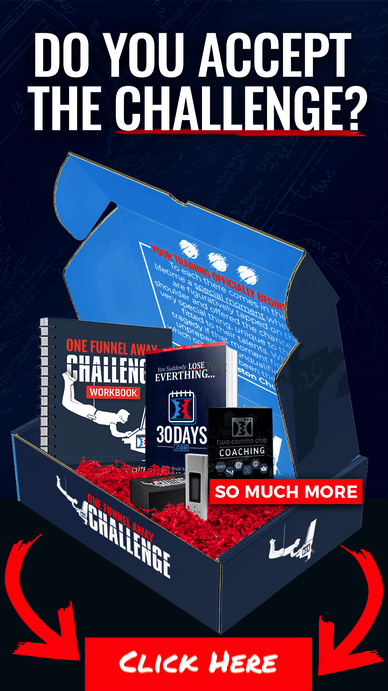 Why not get an additional bonuses for your affiliate marketing journey with this exclusive gift from me. By grabbing my bonus you'll be adding more income generating asset to your entrepreneur tool kit. I guarantee this will help you on your path to financial freedom. Affiliate Secrets 2.0 is the real deal if you are serious about building an affiliate marketing business. You cannot go wrong learning the RIGHT way to build an affiliate marketing career from someone like Mecham. He is a ClickFunnels Dream Car contest winner and member of the “2 Comma Club”. AND, he is giving you everything you need to be as successful as you want. Whether you want to quit your 9-5 or earn some passive income alongside your day job, Spencer’s Affiliate Secrets 2.0 course will help you reach your goals. It’s said, “the proof is in the pudding” but in this case the proof is in the production. Mecham’s original Affiliate Secrets course has produced numerous Dream Car winners and spawned countless success stories from people just like you. They had the idea, started the training and are now crushing their goals in the affiliate marketing space. Are you next? Let’s stay in touch! Leave me a comment below and let me know what you thought of the post. Also if you have Spencer's Affiliate Secrets Course..comment below on how it’s working for you and your business. Affiliate Disclaimer: We hope you liked this Affiliate Secrets review. Please note that some of the links inside this article may be affiliate links to Affiliate Secrets. That means that if you click on one of the links and sign up, we may be compensated for it. If you do happen to click, we really appreciate it! Any money we make keeps this site running smoothly and allows us to keep writing these high-quality reviews.